They are also used for the detection of minerals with large contrast in density and susceptibility compared to country rock. 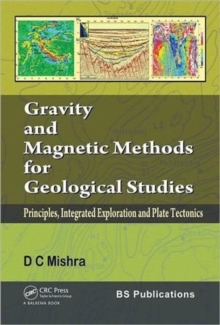 This reference volume consists of two parts: The first part describes the basic principles and methodology of the gravity and the magnetic methods of geophysical exploration with global examples. It deals with geological studies and gravity & magnetic methods; geodynamic studies (plate tectonics, crustal structures, plume tectonics); resource exploration (geological mapping, hydrocarbon, mineral and groundwater exploration); environmental studies (seismotectonics, engineering sites, climate changes, mining geophysics, volcanoes and volcanic activity, landslides, impact craters) and different modes of surveying. The second part is dedicated to the Indian Continent and deals with the application of geological data, integrated with other geophysical and geological information. It discusses geodynamics and seismotectonics with respect to the Indian Plate zone, including the Indian Ocean, Himalaya, Tibet and Archean- Proterozoic Cratons and Mobile Belts. It also presents ways for integrated exploration for hydrocarbons, minerals, groundwater and a number of environmental issues relevant in engineering and archaeology. The accessible style of this unique work will benefit researchers, professionals, advanced students and interested readers in Geophysics, Geology, Economic Geology, Geological Engineering, Geography, Mineralogy and related disciplines.